There is a lot of advice going around, advocating different formats and channels while usually saying that you should ignore others. Advice like “video will overtake white papers in B2B marketing” or “e-mail marketing is much more efficient than social media” etc. Be wary of adopting advice like that without doing your own analysis. What will work best with your target audiencce, what kind of content offers the best result, which channels are preferred by our customers etc. Video might very well be the best way to get their attention, and they may respond much better to an e-mail but you need to find that out for yourself. Don’t trust the generalizing blog post or tweet to hold any truth you can use (yes, that includes this one as well). At best it will offer you ideas and suggestions you can validate yourself. I know that you’re busy and overworked, but until you get that strategy done nothing will ever change and you will have to keep coming up with content ideas on the spot. A strategy might actually save you time, since you can plan your content production. And it will help you create, distribute and measure content more efficiently as well. Improved quality in terms of relevance is another advantage, as the strategy will include a target group analysis. I could go on, but I think you’ve got my point. Now please put creating a strategy at your must-do list! A lot of companies create content. A lot of companies even create great content. But hardly anyone ever finds it or much less interacts with it. The reason is that it’s just sitting on a website, or in magazine, or in a newsletter. One of the key things the New York Times digital report of last year showed conclusively is that being the best at producing content isn’t enough, making sure that is is distributed in several channels and a variety of formats is just as important. Sharing on sociala media, making use of paid and earned media, re-packing and re-purposing content must be part of your content marketing efforts on a daily basis. 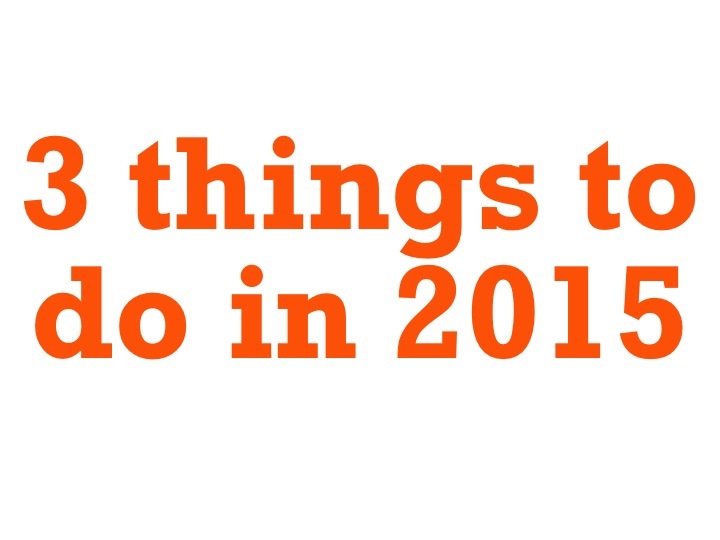 There you have it – my three pieces of advice for improving your content marketing in 2015. Add them to your own ideas and I’m sure you will have a great year. Good luck with your content marketing efforts!